What is the Praxis Series of Tests? The Praxis series of tests are given before, during, and after a teacher’s educational and professional training, and are required for teachers to obtain a license and become certified. Administered by the Educational Test Service (ETS), the Praxis I test consists of multiple choice questions and a essay question that evaluates academic skills in reading, writing and math. Most accredited colleges and universities will give students who are majoring in education and plan on becoming licensed as a professional teacher this test prior to admitting a student to an education program. The Praxis II test is often taken during a student’s course of study, and it measures knowledge of a specific content area, such as science, language arts, or mathematics, and it is broken down by grade level (elementary, middle, and high school). Praxis III, a system of evaluation of novice teachers which involves observation of the classroom and assessment of the teacher’s methods, occurs during the first year of teaching. How Can Test Takers Schedule and Take The Test? Tests are administered in one of two ways: by computer or on paper. How you take your test will depend on the test center where you schedule your testing appointment. Test centers are located throughout the world, and you can check to see where the nearest testing center to you is by visiting the testing center database through the ETS. You can review the test dates through the centers and then reserve space so that you can sit for the test on the day that you choose. Be sure to check the testing requirements through your school and state licensing agency so that you meet any score submission requirements to avoid delays. If you are scheduled to sit for the academic skills test, it is very important to set aside time to study. Knowing how the test is laid out, what types of questions you must answer, and what is expected of you will give you a better chance of attaining an acceptable score. 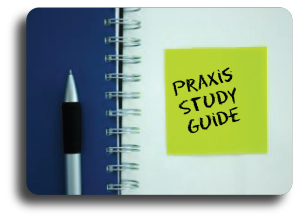 There are Praxis test preparation materials available through the ETS and through other agencies that will help you become familiar with the Praxis I. Be aware that your test score is based on the number of answers you answer correctly, and there are no penalties for guessing or for wrong answers. Educators must already possess specific skills in math, writing and reading before they can enter into a degree program to start the licensing process. If you feel like you would make an excellent educator, you will need to show you are academically inclined. The best way to answer the question: what is the Praxis test? is to check in with instructors and counselors at your school, obtain free practice questions and informational material from the ETS, and start studying long before your test date. For further reading on topics of education, check out 30 Most Controversial Education Practices in U.S. History.